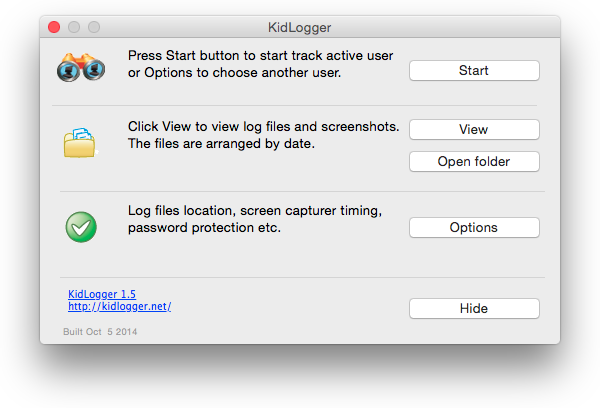 Install parental control software on your computer with MAC OS and get the possibility to track your children activity from anywhere in the world. Define a list of key-words and phrases that you want to monitor. 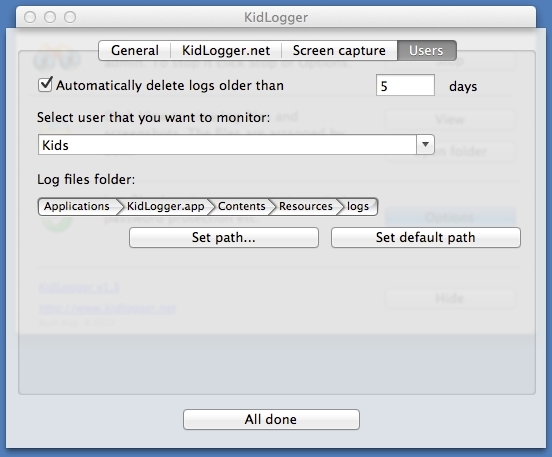 KidLogger will send you screenshot when user will type this keyword. This will allow you to know when your kid is searching info about ‘drugs’, ‘money’ etc or just talking about that kind of things. You can set a password for the program so that other users can not change settings or delete it. 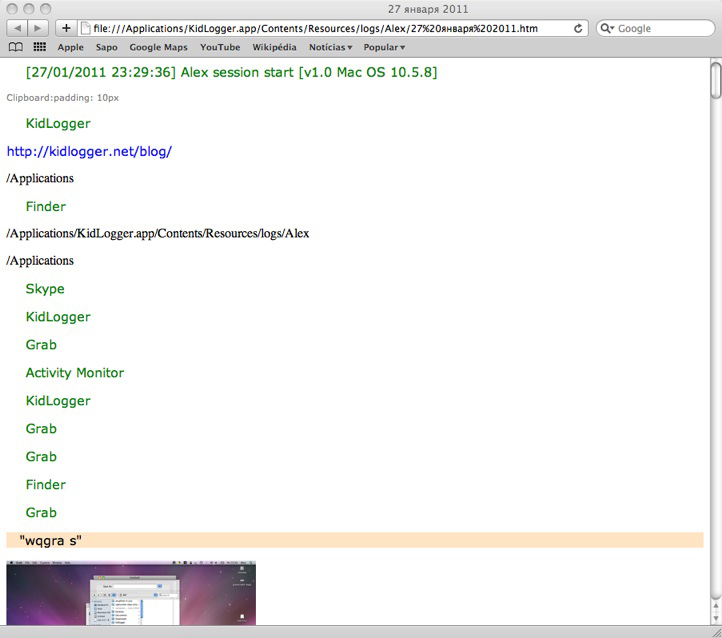 Recording of surrounding sounds into audio files (new) . 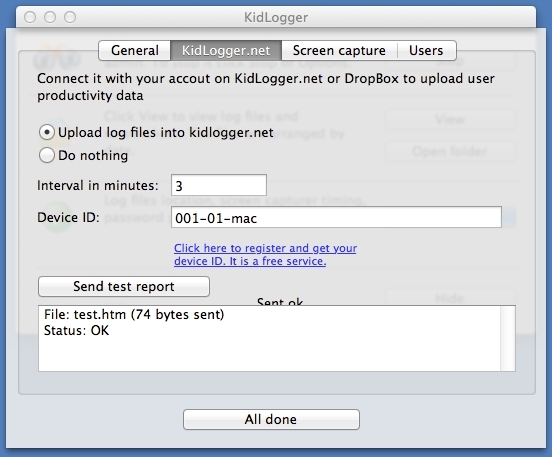 Optionally logs a selected user account or all Mac users.